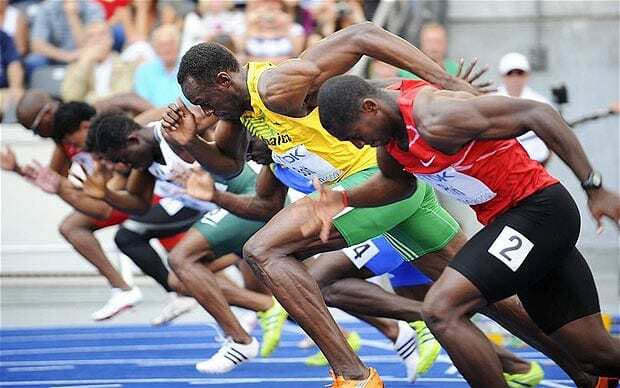 The 100-meter sprint is regarded as one of the most exciting events in athletics, where the sprinters must run to compete in a straight & short 100m distance race. While most of us know that the 100m sprint is all about the first to cross the finish line, the race is also governed by some other rules which we may have heard of but did not know about. 1) What is a Green Card? For 100m, all sprinters are lined up side-by-side at the starting blocks. The starting commands are “On your marks”, “Set” and the starter’s gun is fired, officially starting the race. However, in event that there are technical issues with a start, a green card is shown to all the athletes. The green card carries no penalty and it means that the recall is not at the athletes’ fault. 2) Can Athlete Stop The Race? If an athlete is unhappy with the track conditions after the “on your marks” command, the athlete must raise a hand before the “set” command is given. However, he or she should provide the Start Referee with a valid reason. In the event that the Start referee deems the reason invalid, a yellow card will be issued to that sprinter as first warning. Another yellow card will see the sprinter get disqualified. 3) What is a False Start? 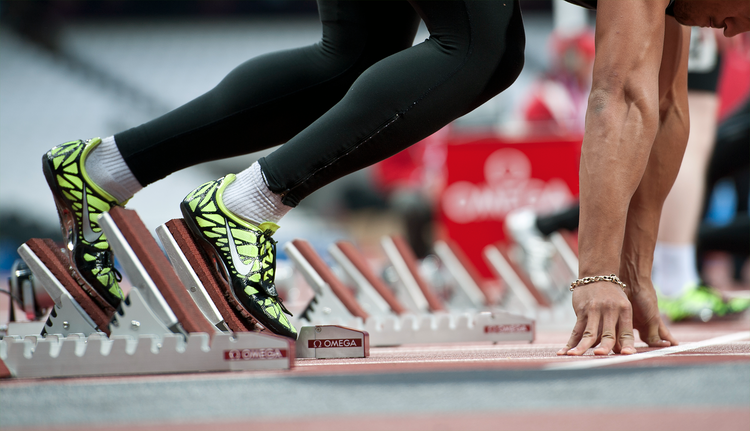 Simply put, a false start is called when the feet of the runner leave the start blocks before the starter’s gun is fired. According to the IAAF’s International rule, a false start is when a sprinter moves within 0.10 seconds after the gun has fired. In other words, if the sprinter reacts to the starting gun in less than 0.10 seconds. This 0.1 seconds figure is based on a research which says that reaction time faster than one-tenth of a second is impossible for human. As such, the sprinter is thus deemed to have anticipated the gun. 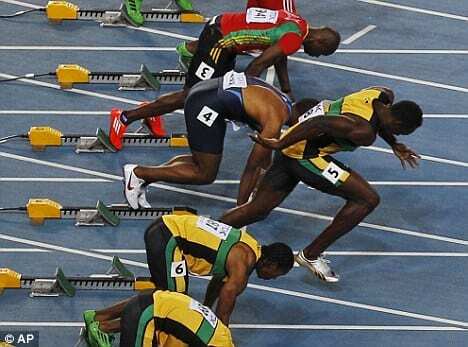 4) What happens if there is a False Start? Under current international rules, if there is a false start, it is signalled by the firing of the starter’s gun twice. The race is stopped and the offending athlete(s) are immediately disqualified – with a red and black card, after being verified with technology. Prior to year 2003, a sprinter is allowed one false start without penalty; the second false start will result in disqualification. 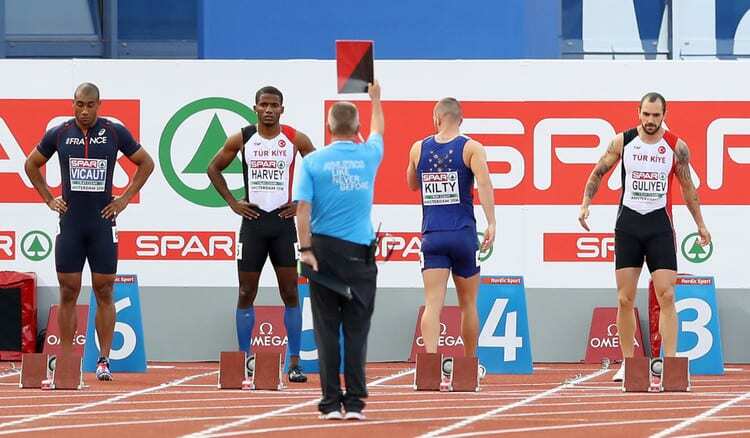 Between 2003 and 2009, as long as any one sprinter make a false start in the first start, any sprinter would be disqualified for a false start at the second start, even that is his first false start. 5) How is the winner determined in a tight race? The finish is the most exciting stage of the race especially when sprinters are close to each other at the finish line. Will crossing the line with your head, arms or legs before another sprinter help one win the 100m sprint? The answer is no. 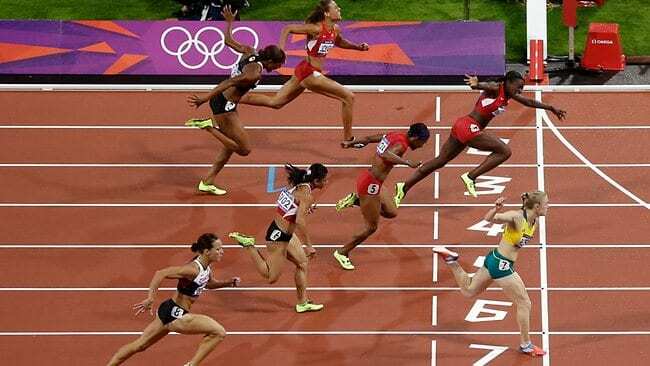 The rule states that only the first torso or the trunk of the body which reaches the vertical plane of the closest edge of the finish line is the winner. Adrian Lau and Ria are The Ambassadors 2016 of INTI University!